Australia Vs Canada, Which is the best place to live? Weather-wise I prefer hot to cold, but I like that England has 4 distinct seasons which is more Canada than Australia , so either is fine really. Loved it! In particular I found Mathew's goodbye to Nora one of the most personal & touching moments, but that hit home in certain areas for me. Nice use of the Dove = Holy Spirit/ love , Goat = Evil/Sin in the wedding scene. Also like that Lindelof committed to a satisfactory explanation for the series mystery. 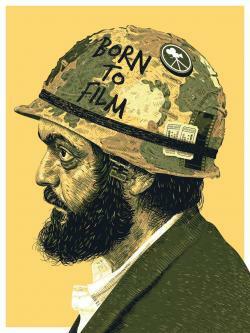 Final thought, I felt Kubrick's pacing and cinematography all over this season and loved ever minute of it. I work for Google managing paid advertising, speaking from my own experience Ad Blocking is not a big concern while year on year Ad revenue increases. IF it gets significantly worse, service providers will either block users that use adblocking ( Hulu already do this), or incorporate it into the T&C's that you agree to receive advertising to continue using Google search, youtube, gmail etc.. If you don't like ad 's remarketing, browse in an incognito window and don't be signed into any gmail, youtube, facebook amazon or Ebay account and you'll mostly be fine. One thing on these ads there's a brutally strict policy on getting them through, so anything sensitive like divorce lawyers or drug rehab will not be re-advertised to you. So it's mostly just retail products and flights etc that follow you around. Ad remarketing is annoying for people, but it seriously works well. The Economist did a good piece on this from a non tech perspective. @A_Ron_Hubbard I'm just thinking in purely advertising opportunity terms but what about doing an instant cast on both Westworld and Walking dead, even at the expense of the live watch on TWD. They're two big shows , with active subscriber feeds and it will let you get your #savebaldmove ad campaign to as many people as possible, as much as possible in this crucial period. Even if it was a 10-15 min take and then 5 min pitch split front and back end of the cast, relatively low input for double the advertising opportunity.